Game. Set. Match. That’s the normal flow that produces a winner of a tennis tournament. But what if game after game goes alternately to each of the players—so that no one ever pulls ahead? A rules change is coming to Wimbledon in the spring. The All England Club said Friday it will introduce a final-set tiebreaker next year. When the score in that fifth and final set reaches 12 games to 12 games, a “breaker” will be played to finish off the match. 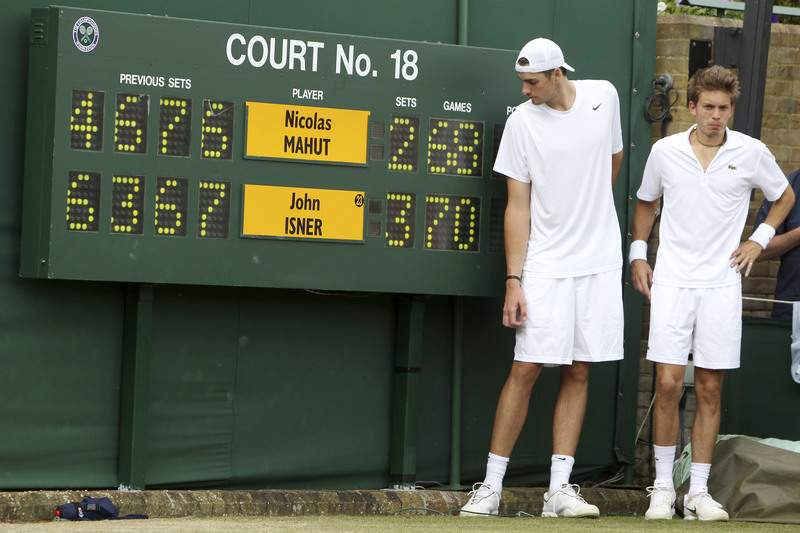 In 2010, players John Isner and Nicolas Mahut played the longest match in tennis history at Wimbledon. The match took more than 11 hours of game time and over three days. Finally, Isner won 70-68 in the final set. That’s not points. That’s games. In the tiebreaker game, the first player to get seven points and lead his or her opponent by at least two points will win the set. Wow! That is a lot of games!! 70 to 86 games! that's crazy! 70 to 86 games! that's crazy! I have played mario tennis before and know who games are won. Three days as well, yikes! It is a good thing they are changing the rules. I watched the third longest match in history on TV. After a while, I went back to my school, but kept checking to see if the game was over. It took FOREVER! I enjoy playing, and watching tennis, although I like team sports better.